Corentin Tolisso believes Bayern Munich can still reach the UEFA Champions League final despite suffering a semi-final first-leg defeat to Real Madrid. Goals from Marcelo and Marco Asensio either side of half-time more than cancelled out Joshua Kimmich's 28th-minute opener to leave the double defending European champions in the driving seat ahead of Tuesday's second leg in Madrid. But having watched from the bench as his team-mates failed to take opportunities to score before playing the last 15 minutes himself at the Allianz Arena, Tolisso is confident Jupp Heynckes' men can still turn the tide of the tie. "We should have scored more goals in the first half. In the return, we'll have to put our chances away. Of course we still believe we can do it and nothing has been decided," Bayern's club record signing told French media. 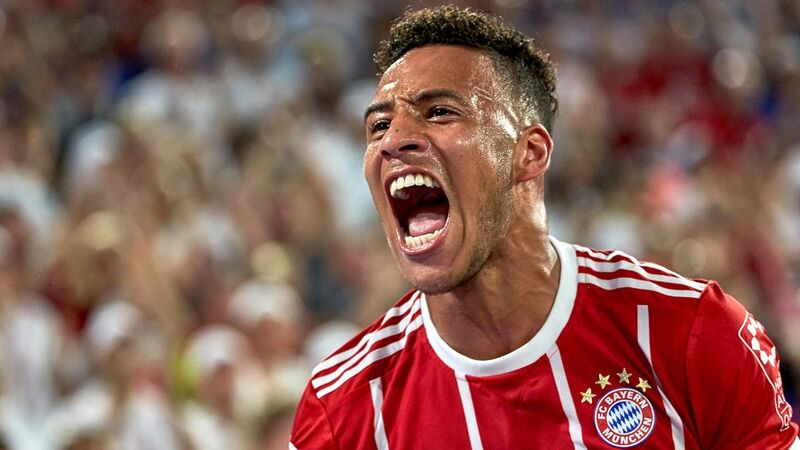 Watch: Corentin Tolisso's thunderbolt wins the March Goal of the Month! "There was the chance to get a better result. We played well, but we lacked that little bit extra to get a better result. It's the same scenario as last season. This year, it's the same thing: we need to show courage and reproduce that performance, because we really played well." Mats Hummels, Franck Ribery and Robert Lewandowski — notably late on from a Tolisso pass — all missed good opportunities to find the net. Ribery also forced Madrid goalkeeper Keylor Navas into a brace of fine saves as the former France international showed Bayern's decision to offer him a new one-year contract was far from misguided, even with the former Marseille and Galatasaray man having just turned 35.